‘Booo!’ – and your heart missed a beat. ‘Shhh!’ – the cold sweat starts out on your forehead. You walk faster along the school corridor and look around in panic: books and papers scattered about in the wildest way, and bubbling green slime are dripping from the ceiling. Ugh! They are already here, so what you are going to do? On the threshold of the Ghostbusters reboot, the most expectable recreation of legendary movie released in 1984, Unicheck online plagiarism checker has launched a $150* contest for students worldwide! Our overriding goal is to motivate you to use your original writing skills and make your fantasy sparkle with new colours! So come on, you have nothing to hide, just let your imagination run free and enjoy the process! The terms of the contest are quite clear – all you need to do is to follow Unicheck Facebook page, make a repost of our Contest Terms and share on YOUR Facebook Timeline a short story (up to 300 words) describing your actions in the following situation – the army of ghosts is overrunning your school/college/university – and don’t forget to add the hashtags #Unicheck and #PlagiarismBusters. *Under $150 there is an Amazon Gift Card total amount $150. 4. How to Participate: Follow Unicheck Facebook page and write an awesome story on your Timeline with hashtags #Unicheck and #PlagiarismBusters. The Contest is open from July 20, 2016 till August 18, 2016. If you post your entry later than 11:59 PM GMT on August 18, 2016, it will not be considered. Follow the Unicheck Facebook Page during the Contest Period and make a repost of our Contest Terms. 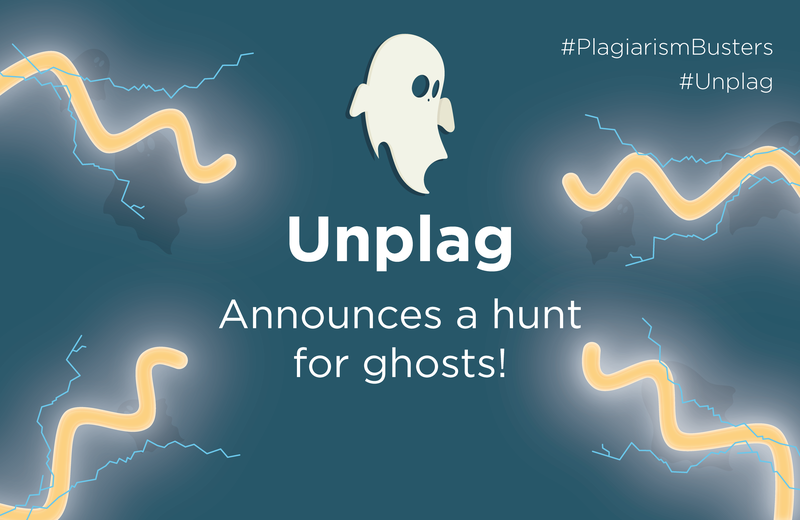 Write your story (up to 300 words) on your Facebook Timeline with hashtags #Unplag and #PlagiarismBusters. You agree to this contest Terms and Conditions by clicking “Like” button at the top of the Unicheck page on Facebook. How do We Choose a Winner? Of course, grammatical correctness is also our essential requirement. The story that impressed a whole our team is likely to become a winner! May good success attend you!